Chicago Marine Canvas offers made-to-order Rinker yacht tops together with yacht tops working with all Rinker makes or models. Rinker’s yachts are amongst the most magnificent in the world so all proud owner should possess a gorgeous marine top to preserve it! Like Rinker, we use Sunbrella Marine Canvas however we do also employ tougher marine canvas such as Stamoid which is completely leak-proof and a great material for vessel canvas. A factory cover generally survive more or less 8-10 years before it starts to have problems, but numerous owners prefer to order changes to their top design before their current cover starts to show signs of age. 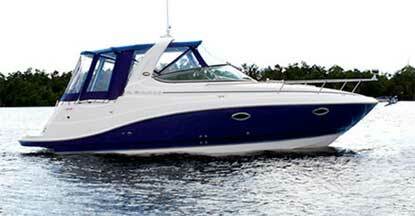 Maybe the purchase of your boat included an aft top but today you want a full cover? It may as well be that the water craft has a full top but you fancy a mooring enclosure to quickly remove and put back in place? Almost all factory tops come with a mix of canvas and eisenglass but in case you have need for increased visibility, a complete eisenglass canvas will be what you are searching for. If you are thinking of a custom-made enclosure for your yacht, there are countless possibilities. 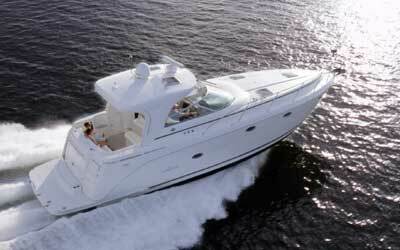 When you first communicate with Chicago Marine Canvas, we will examine your canvas wishes and establish the right vessel top for you. After establishing your vessel and top wishes, we’ll visit you at your vessel to gain insight relative to the job requirements as well as check the dimensions of your vessel, the initial phase in creating a 3D rendering of the job. We’ll create your canvas in a CAD (Computer-Aided Design) system , this program allows us to very simply make readjustments for windows, notches, zippers as well as fasteners. This CAD system also does take into consideration textile relaxation as well as a great number of variables that would otherwise take days to put together manually. The outcome is always a yacht top that is an impeccable fit. These yacht covers will be delivered within the predetermined time frame as well as on budget; it’s a promise.